While the ongoing political confrontation between Washington and Moscow does not initially appear to have had a negative impact on nuclear disarmament policies, the truth is that it is weakening international nonproliferation cooperation. It seems clear from recent high-level statements that political leaders from Russia and the West don’t trust each other. Sanctions, talk of a new Cold War, and the ongoing saber rattling exacerbate the problem. However, there is one area where Moscow does agree with Washington and Brussels — the desire to keep nuclear weapons and other weapons of mass destruction away from terrorists. That’s one big difference between now and the Cold War. Today there is a universal understanding of common security threats, although their interpretations may be different. In short, the rise of terrorist groups such as Islamic State (ISIS) has re-centered the focus of Russia and the West on the risks of nuclear proliferation. Russia doesn’t agree with the U.S. on how to deal with either North Korea or Iran, but the Kremlin and the White House have found common ground on addressing the nonproliferation challenges and threats posed by these countries. For example, the Kremlin and the White House succeeded in resolving the Iranian nuclear problem and signed the Iranian nuclear deal. Likewise, Russia and the U.S. were able to agree on sanctions against North Korea for its nuclear testing and attempts to acquire nuclear technologies, including on the U.N. Security Council’s March 2 Resolution 2270. Russia and the West continue to share a common understanding of key challenges to the nonproliferation regime. 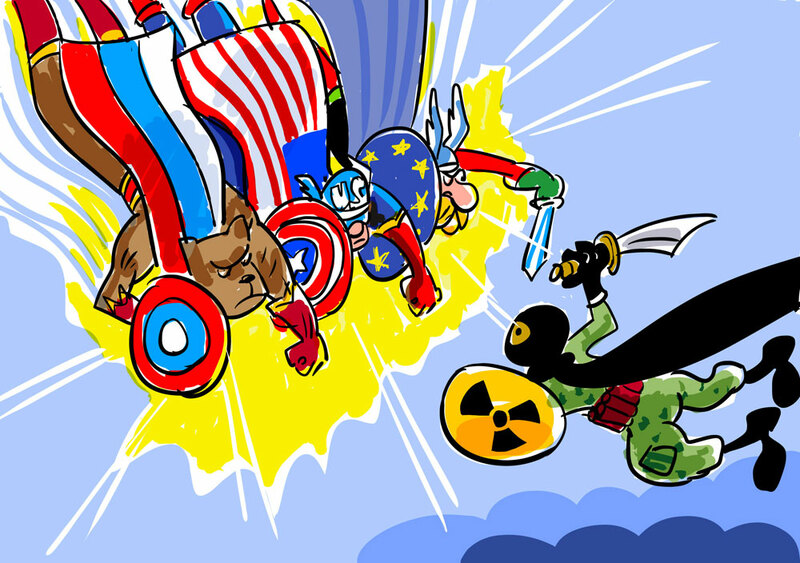 In short, Russians, Americans and Europeans do not want new states to acquire nuclear weapons. And they especially do not want non-state actors to have access to weapons of mass destruction. Moscow, Washington and Brussels seem to have accepted the idea that they cooperate when it comes to nonproliferation while, at the same time, they may be confrontational in their relations with each other. The danger is that the confrontation between Russia and the West weakens international nonproliferation collaboration. The positive examples of cooperation shouldn’t be misleading. After all, the fact that Russia and the U.S. can agree on the Iranian or North Korean challenge doesn’t mean that their nonproliferation effort is going to work as usual. Moreover, lack of understanding between the U.S. and Russia could derail the international nonproliferation effort for four major reasons. Second, mutual accusations about the violation of the 1987 Intermediate-Range Nuclear Forces (I.N.F.) Treaty lead to questions raised by other members of international community about the responsibility of Russia and the U.S., their adherence to their commitments, and their ability to negotiate effectively. Third, the lack of communication channels between political, military and intelligence communities of Russia and the West leave them without important ways to detect proliferation threats and cooperate in counter-proliferation. Fourth, the aggressive rhetoric of some Russian and American politicians and top military leaders sets a bad example for other leaders, who might switch to using the same rhetoric. Despite several success stories in the field of nonproliferation, Russia and the West are creating conditions for new proliferation threats to be born, and leave themselves with limited instruments to anticipate and see these threats clearly, as well as to stop them.